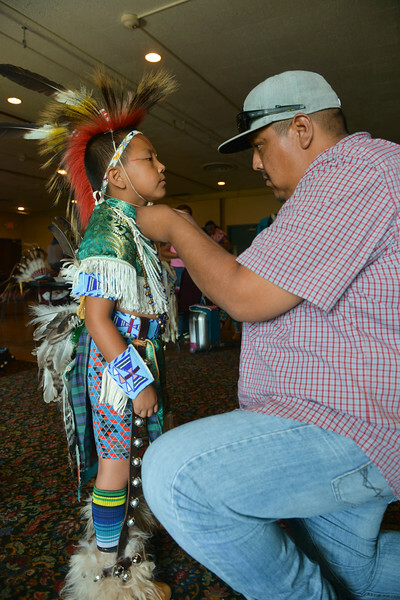 Shann Iron ties a roach on his son Blake Iron, 7, in preparation for the First People’s Powwow Wednesday at the Historic Sheridan Inn. 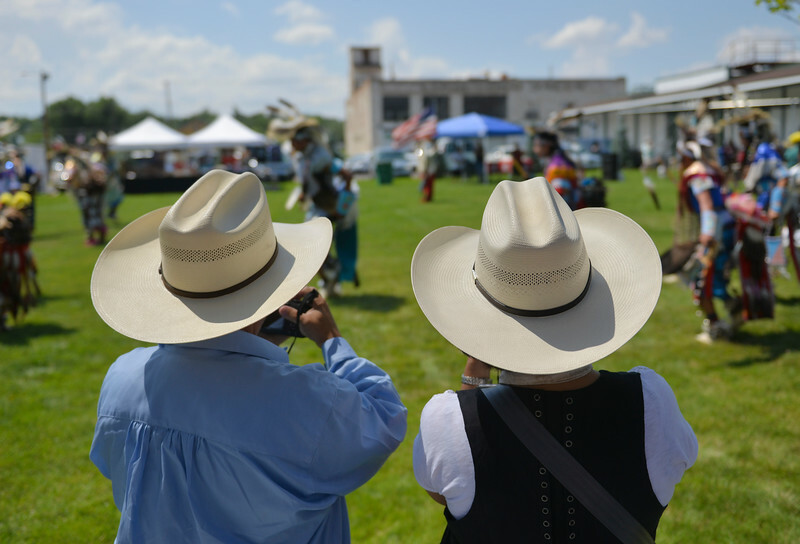 The culminating event is Friday after the Sheridan WYO Rodeo Parade. 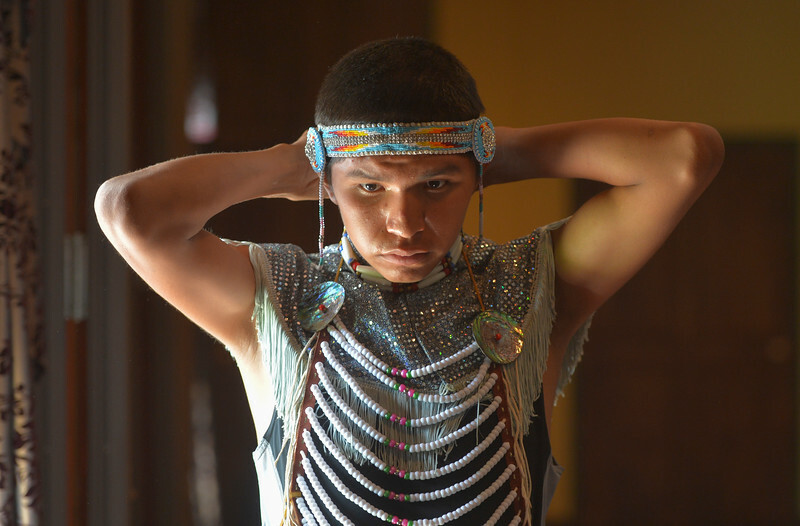 Taylen Alden ties on a head piece in preparation for the First People’s Powwow Wednesday at the Historic Sheridan Inn. The culminating event is Friday after the Sheridan WYO Rodeo Parade. 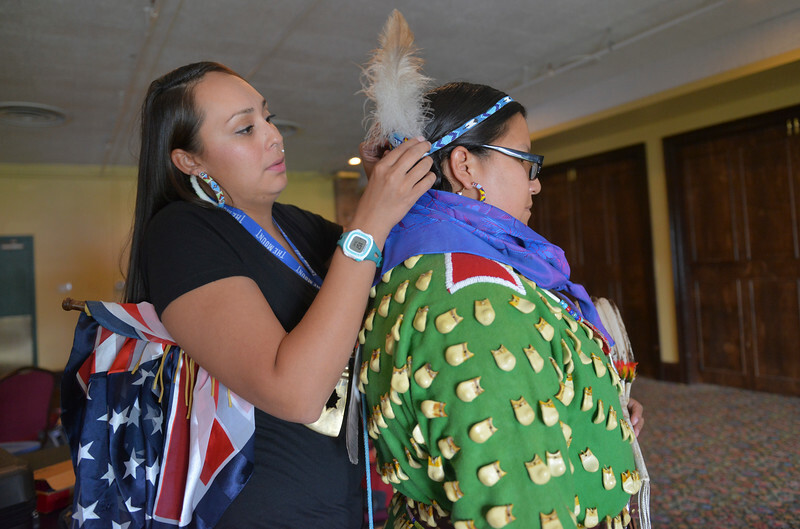 Coty Real Bird helps Hayley Blaine get ready for the First People’s Powwow Wednesday at the Historic Sheridan Inn. The culminating event is Friday after the Sheridan WYO Rodeo Parade. 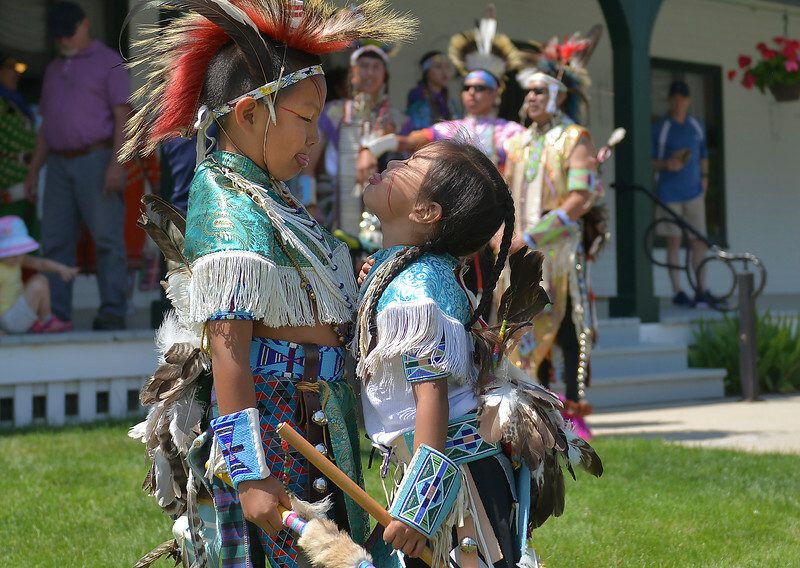 Seven-year-old Blake Iron, left, and Jericho Bull Weasel play during the First People’s Powwow Wednesday at the Historic Sheridan Inn. The culminating event is Friday after the Sheridan WYO Rodeo Parade. 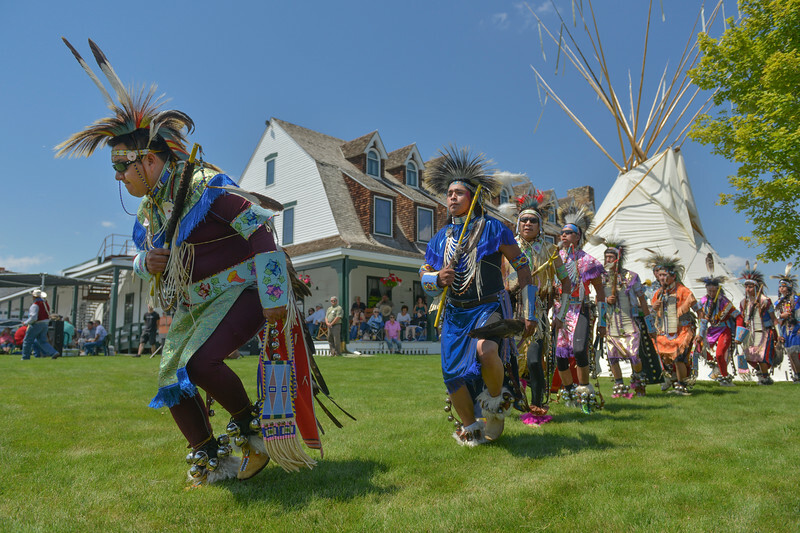 Dancers make the grand entry during the First People’s Powwow Wednesday at the Historic Sheridan Inn. The culminating event is Friday after the Sheridan WYO Rodeo Parade. 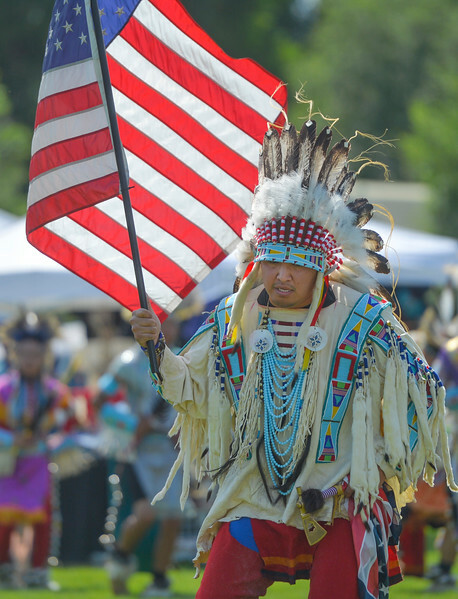 United States veteran Taylor Real Bird carries the national flag during the First People’s Powwow Wednesday at the Historic Sheridan Inn. The culminating event is Friday after the Sheridan WYO Rodeo Parade. 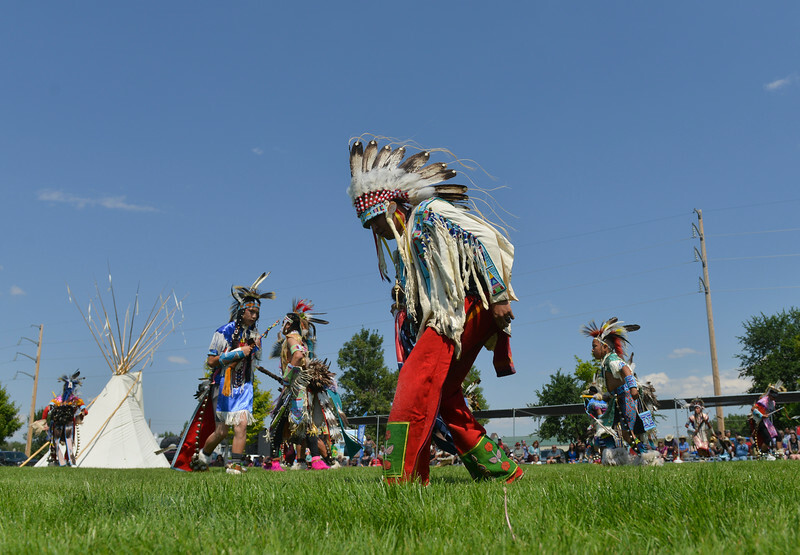 Tourists take photos of the dancers during the First People’s Powwow Wednesday at the Historic Sheridan Inn. The culminating event is Friday after the Sheridan WYO Rodeo Parade. 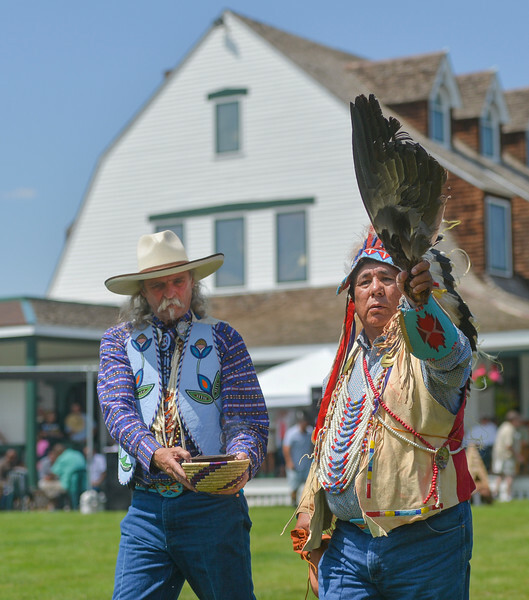 Butch Jellis, left, assists as Leonard Bends waves features for a “smudging” or spreading prayers during the First People’s Powwow Wednesday at the Historic Sheridan Inn. The culminating event is Friday after the Sheridan WYO Rodeo Parade. 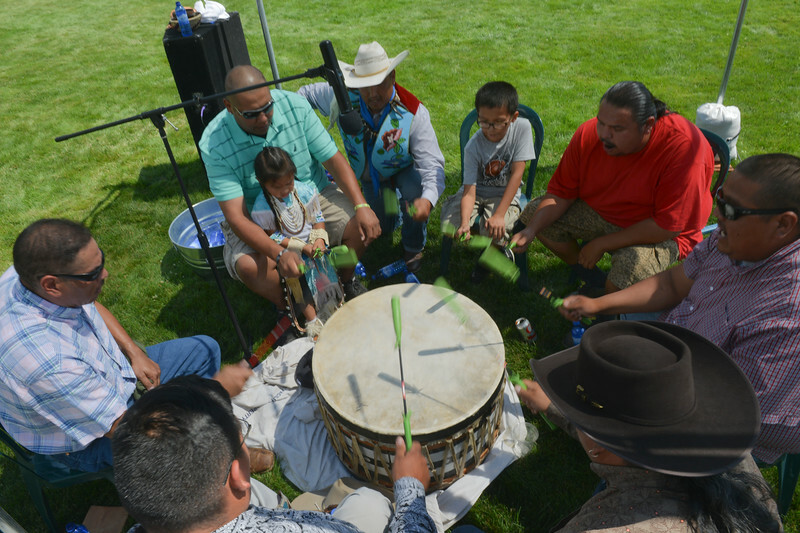 Members of the Crow “Song Doggs Singers” sing and beat the drum during the First People’s Powwow Wednesday at the Historic Sheridan Inn. The culminating event is Friday after the Sheridan WYO Rodeo Parade. 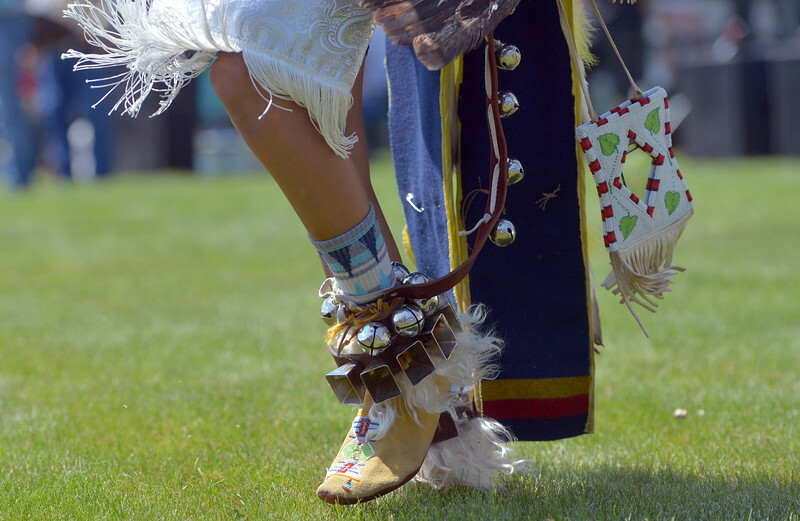 Crow dancers display their art on the field during the First People’s Powwow Wednesday at the Historic Sheridan Inn. The culminating event is Friday after the Sheridan WYO Rodeo Parade. 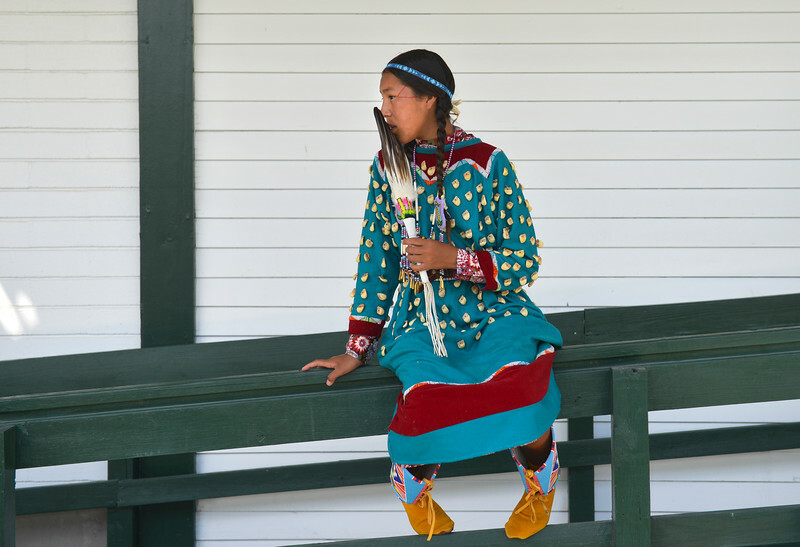 Thirteen-year-old Berdina Dawes takes a break from the heat during the First People’s Powwow Wednesday at the Historic Sheridan Inn. The culminating event is Friday after the Sheridan WYO Rodeo Parade.